A stern lecture: we need to up our game! 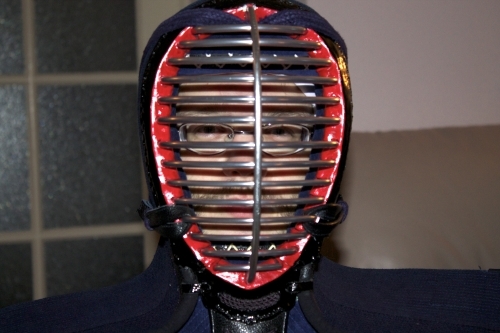 Yesterday's kendo practice was both great and a letdown at the same time. It was absolutely awesome to have so many kendoka turn up! No less than twenty people were present, divided 10:10 between people with and without bogu. And the practice that we did was wonderful, with many techniques I'd never done before! But I was also confronted heavily with a lacking in my stamina. During warmup, while doing fifty hayasuburi. With the first, my arms just couldn't keep up with the pace. During the second I felt exhausted. During the third I felt like a tube of toothpaste, squeezed completely empty. It's no excuse and it's not a consolation either, but I wasn't the only one. Which led to a rather stern (and deservedly so!) lecture at the end of class. Sensei and fukushou were rather displeased with the lack of endurance shown during class. Especially during something as early and basic as warmup! It's rather shameful that so many of us have these issues. Would you imagine how awful it'd make the Renshinjuku Almere dojo look during seminars or national events, if our students show fatigue so quickly?! It's come to the point that we're going to use bootcamp style warming up: if anyone drops out during an exercise, the whole group will need to redo the whole exercise. Kris-fukushou repeatedly refered to his speech from last week: our whole team needs to work towards a higher level! We shouldn't be happy puttering about at our current entry-level kendo! Now. i'm not going to let this put a damper on my mood or my perseverance. On the contrary! Martijn and I started running practice and Sander and I have decided that we need to push eachother. We need to friggin' keep going! FIGHT! For such a philosophical martial art, kendo really is damn demanding on your physique. With that aside... Waza practice had us doing all manner of stuff that's new and advanced to me! Hiki-men, hiki-men-kote, hiki-men-kote-do, all of which taught me that my initial steps/stomps backwards are too large. After my first strike I'm already out of range, so I can't make any follow-ups. The followed strings of kote, kote-men, kote-men-do and hiki-men back and forth across the gym. Jigeiko was a big letdown for me. I took on Nick, followed by Martijn and that was that. I couldn't go on anymore. Speaking of working towards a new level: I've volunteered to teach Aaron-sempai how to do shinai maintenance. At roughly eleven years he may be my junior by a factor two, but at kendo he is my senior. He's been doing it longer than I have and I can honestly say that I admire him for the potential he shows! He's got good fighting spirit, right now it's just his age that gets in his way. By teaching him the basics of maintenance I hope to help him along just a little bit. Second day of getting hit: still liking it! I don't know why, but today's class was a rather small group! Ton-sensei and Kris-fukushou led the training. Hugo and two newbies were doing basics and there were six of us in full armor: Tiamat, Aaron, Sander, Houdaifa, Charl and me. I guess we owe it to the smaller group that our rhythm. 0900-0930 was filled with kata as usual. Warming up included the stretching and the usual suburi, but then we switched to pairs to do contact haya-suburi. No running or footwork this time, we immediately got into armor. We practice kirikaeshi, men-uchi and kote-men as a group and then split up. Don't know what the armor-less folks were doing, but Kris took us through many interesting techniques, including suriage waza (parry on kote, then hit men) and maki waza (spiral the opponent's shinai to open a strike). For fun and learning, the kendoka in bogu then all lined up for shiai with Charl (our only 1-dan student) who beat every single one of them. Class was then closed with uchikomi geiko, where all students had passes at Ton-sensei, Kris and Charl. During our debriefing Kris did impress upon us that he wasn't very pleased with the progress we're making... or actually, the lack thereof. All of us really need to step up to the challenge and push ourselves harder if we want to reach the next level as a group! I stretch my right arm after striking, not before. Especially on small men. I also stretch my right arm too high, after striking men. I seriously need to shut up during jigeiko, or any other moment I'm supposed to be fighting or practicing. I really need to stop with the over analyzing and talking about what's happening. Also, like last week, stop moving backwards so much in jigeiko and shiai! I'm not moving towards safety, I'm only giving the other guy more chances! I love putting design on clothes in vinyl or print. I've made festival shirts for Dana, anime/japan shirts for my sister and Arrow Emblem clothing for myself. Recently I asked permission from Heeren-sensei, the founder of Renshinjuku kendo dojo, to use the Renshinjuku logo on some sports gear. I am very grateful that he allows me to do so. The picture above shows a few mockups I've put together at SpreadShirt.nl. I've always been very pleased with the quality of their work; their vinyl prints are very sharp! Right, already I'm on the second revision. Dropped the big surname off the shirt and am just using Almere on it. The jacket and sweater will still have a surname on it (so I don't "lose" it), but much smaller on the front. Here is v1. Today was the first class of 2012. It wasn't very busy, but it was a nice class nonetheless! We even had two newbies. Martijn also taught me the basics of kata number 4 (picture above), which really is a pretty cool one! Sensei and fukushou asked us to pick one or two goals for this new year, which we were to attain by the end of the year. I picked fumikomi: by the end of 2012 I want to be able to pull of decent and consistent fumikomi. Footwork. As we've ascertained my fumikomi is severly lacking. Also, I'm definitely working on improving the placement of my feet and thus my stability. More people are noticing that my upswing isn't straight. It points to the right. Yuck. Relaxation. I need to do it. My arms, shoulders, neck. All of them are now working against me to create a nauseating headache. All because I am way too tense in class. Marli came to class to take photographs; that was great :) She was originally invited to make our 2012 groupshot, but then also stayed to shoot during the rest of class. 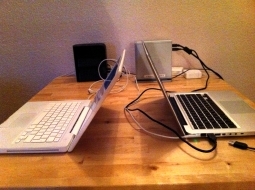 As I wrote a few days ago we have been using the year's end downtime at the dojo for maintenance of our equipment. 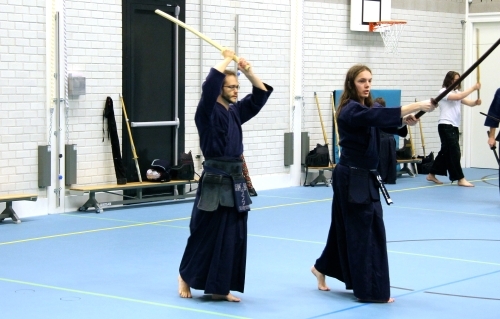 On the 30th Martijn came to visit, to theorize about our practice dummy and to check his shinai. He also was kind enough to put new lacing in my kote. 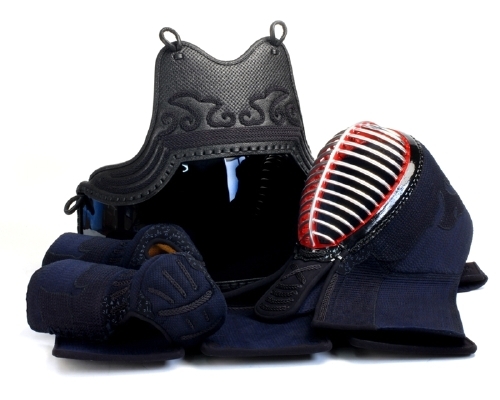 Both tasks were easily done using the wonderful and free kendo equipment manual PDF. That book has taught me so much! That same evening I put a new belt on the tare and started thinking about sewing a zekken. Which is exactly what I did! Employing a rather crude split stich I embroidered my name and our dojo's name, as per the standard for zekken. Let me tell you, a thirty-something guy doing embroidery on the train draws some weird looks ;) Now, the result might not be beautiful, but I'm happy nonetheless. And once my 'real' zekken comes in from kendo24 I can still use this one as a small bag to keep my valuables in the dojo. Finally I put together a simple pillow to put inside the men I borrowed from Loyer-sensei. It's a bit too big for me and the pillow provides enough padding to keep it in place. That's fifteen euros saved right there! I really enjoy how kendo (a very active and aggressive sport) has lead me to so many calming and relaxing manual activities! I get a lot of fulfilment from knowing that I can properly honor my equipment by providing it with the required maintenance myself. Some people might swing a shinai like a broomstick or muffle their hakama into a gym bag, but to me those things are more than simply tools. 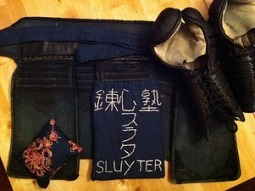 And by letting kendo engage my creative side it's become a bigger part of my life.